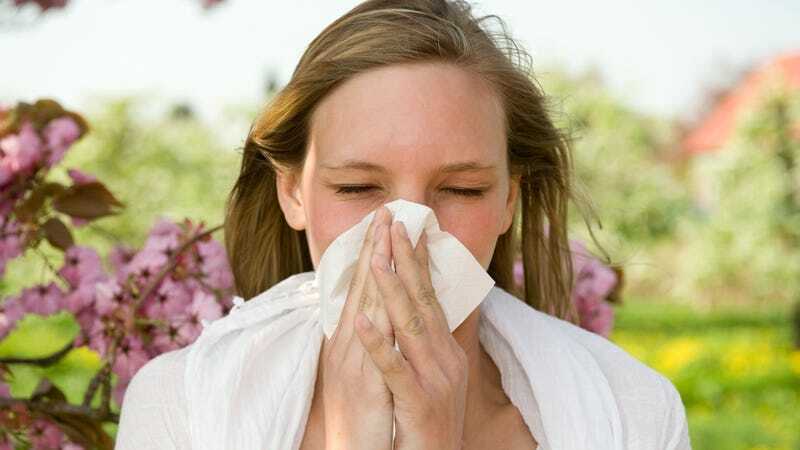 This list of America's sneeziest cities (the worst places for fall allergies) will be incredibly validating for those who are sniffly in Wichita, Kansas; Jackson, Mississippi; Knoxville, Tennessee; Louisville, Kentucky or Memphis, Tennessee. Otherwise, you'll probably just be pissed. For example: I feel annoyed that my city is only #56 on this list, yet my eyes are puffy and I can't stop sneezing and I'm itchy under my neck (I don't know why I get itchy under my neck when I have allergies, so don't ask). Additionally, I feel annoyed that perusing Shutterstock photos of women in pollen-y fields makes me even more sniffly. Let's all move to Portland, Oregon (#100) — although, for what it's worth, I used to live in #88 (San Francisco) and my allergies were pretty horrible there, too. My sinuses are nothing if not determined.